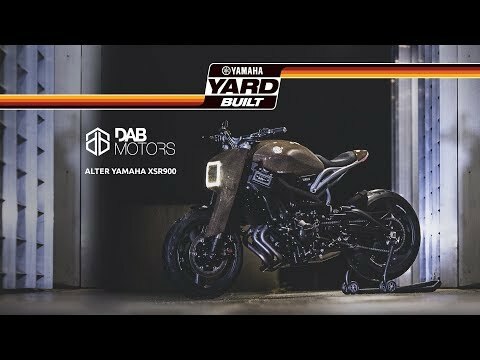 Yamaha Yard Built projects are always unique and this is truer than ever here. Biarritz based Dab Motors are delving into futuristic aesthetics and out of this world technology for their latest custom build. Biarritz is famous for its laid-back approach to life, beautiful beaches and stunning scenery which have made it a prime location for holiday makers for decades and more. 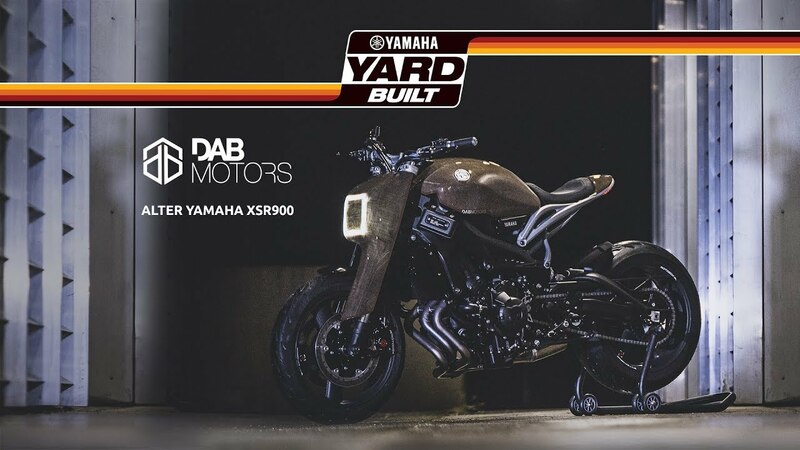 But Dab Motors, based in the Basque Coast city, has turned his back on relaxed and is throwing himself and his Yamaha XSR900 head first into the future. With cutting edge design techniques and state of the art craftsmanship, he has produced something straight out of the next century: The ALTER. Dab Motors felt an affinity with the XSR900 from the get go with its mix of modern and retro design, and innovative lines. They knew the lightweight body, packed with character, and sporty engine would be more than a match for his futuristic concept. From the very moment that Dab Motors got his hands on the Sports Heritage machine, a powerhouse of customisation, he put his knowledge of technology into high gear. Using 3D modelling, and advanced rendering techniques, he designed a customised bike in an almost entirely digital world. With data built from his modelling techniques and schematics created in a virtual work space, he set the robots to work on forging his mechanical marvel. Putting to life his designs by using manufacturing machines, he produced high quality, ultra-durable, 3D printed aluminium sub chassis, upper triple tree, risers and headlight holders. The exhaust is a collaborative creation by Dab Motors and a trusted partner. There's brand new handlebars, grips, brake reservoirs and mirrors. The bike features ultra-light, sustainable flax fibre body work fresh out of the lab. Even the lighting system is pushing the boundaries, with a smart LED array controlled by an Arduino micro controller board. All of this is wrapped around the finest quality brakes, suspensions from industry giant Öhlins (STX 46 shock absorber and NIX 30 cartridge kit) and other parts making this a high-performance message sent back in time from the 22nd Century. "I think Yard Built is often seen as the place where we honour the past, and maybe rightly so," said Antoine Clémot, Yamaha Motor Europe Motorcycle Product Manager. "Yamaha has such a rich past with iconic designs and techniques to draw from. But we also use it as a laboratory of sorts. There's room to innovate, to play with minimalist aesthetics and new ideas. So, seeing a build like this is incredible. Dab Motors is embracing technology that is light years ahead of so many other builders and that's thrilling to see and exciting to be a part of. The design is amazing, the bike really looks like something out of a science fiction film. But, the processes that went into making it, that's what has blown me away." "In a world driven by technology, we don't have to be stuck in the old days with old ways of working," commented Simon Dabadie, founder of Dab Motors. "We should explore every possibility by using new technologies and be inspired by them. We want to stimulate people's curiosity by using new kinds of materials, by being critical and by testing every idea that we have. It's about not limiting yourself and opening your mind to potentially revolutionary ways of doing things. 3D design, virtual engineering, 3D simulation, rendering; these are all things we explore and things we have seen incredible results with. By looking to the future, we can focus on creating enhanced motorcycles. This will change how we create and customise a motorcycle. We now have unlimited means of creation that wouldn't be possible with traditional processes." For more information on this cutting-edge custom build, head over to www.dabmotors.com.